Build a tower, an elk, a church or anything according to your imagination! – The AO25 is the ideal beginner’s set. 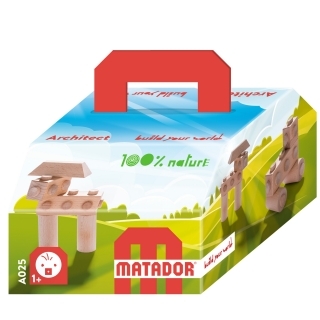 Developed especially for baby hands, the three-dimensional wooden building blocks in various shapes inspire building and playing. 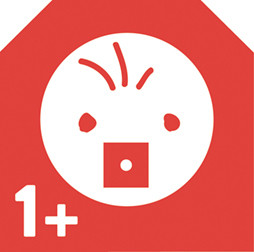 Architect 10 contains 10 parts in different shapes and can be expanded with any Architect construction set at any time. Content: 10 wooden parts in various shapes and sizes. Learn to understand the world by playing! Discover your fine motor skills and build your own stories. The new Architect was specially developed for children aged 12 months and older. This allows even the youngest to start three-dimensional building! Size and weight of the individual blocks have been optimally adapted for this age. A full load of building fun! 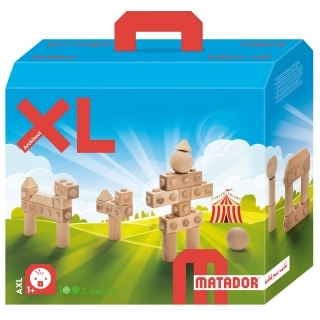 With the Architect XL groups of children can playfully discover the world of construction. The set includes everything needed for creative building. Building blocks in various shapes and sizes in order to play together in a team. 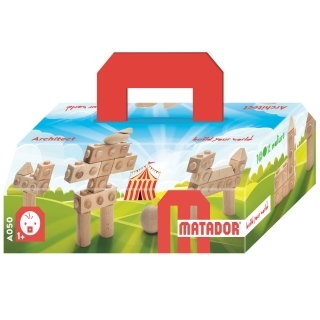 MATADOR XL is ideal for families, groups of children, kindergarten, childcare facilities, etc.